US52 to W on New Trenton Rd, L on Seeley, L on Snow Hill to Deer Run to Whitetail cul-de-sac. 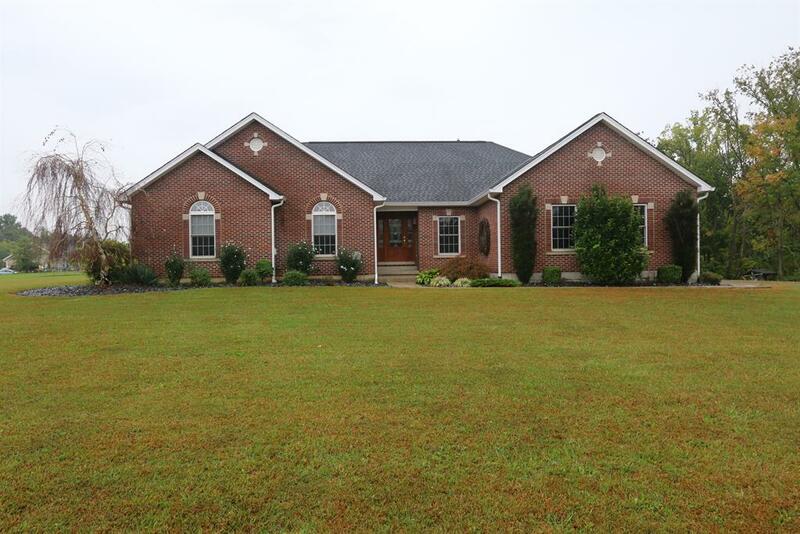 Custom 5 bdrm brick ranch on 2 ac featuring upgrades thruout. Lg eat-in kit w/stainless appls, hdwd flrs, vaulted ceilings, 1st flr lndry, w-out from kit to covered patio area w/firepit. Fin LL w/2 add'l lg bdrms, lg family rm w/w-out, rec rm w/custom bar. Great for entertaining. 3 car gar w/detached 48x40 pole barn w/ovrszd door for boat or RV.